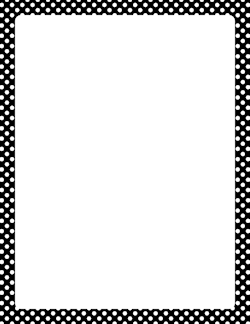 Get all 34 of our polka dot borders in one package. The collection includes dozens of color schemes including black and white, red and black, and many more. Aqua-colored border with white polka dots. 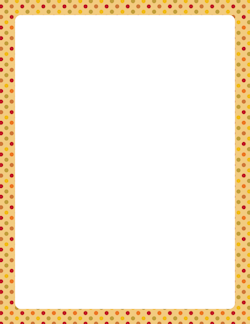 The border is sized to work with 8.5 x 11 paper (letter size).